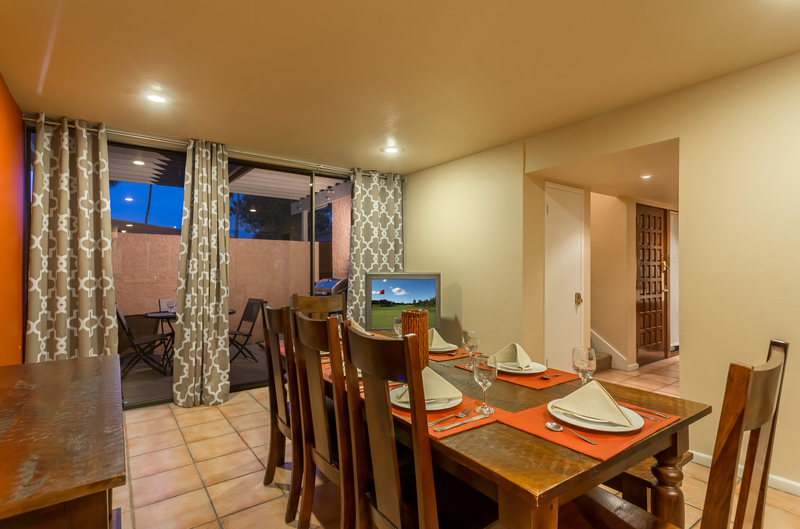 Perfectly Located Spacious Scottsdale Vacation Rental Villa. 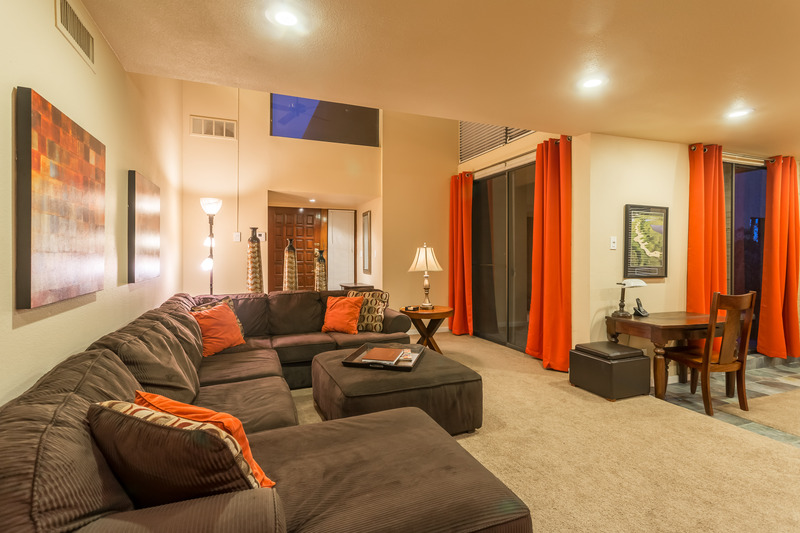 In the heart of central Scottsdale AZ, in the Resort community along Camelback lake. 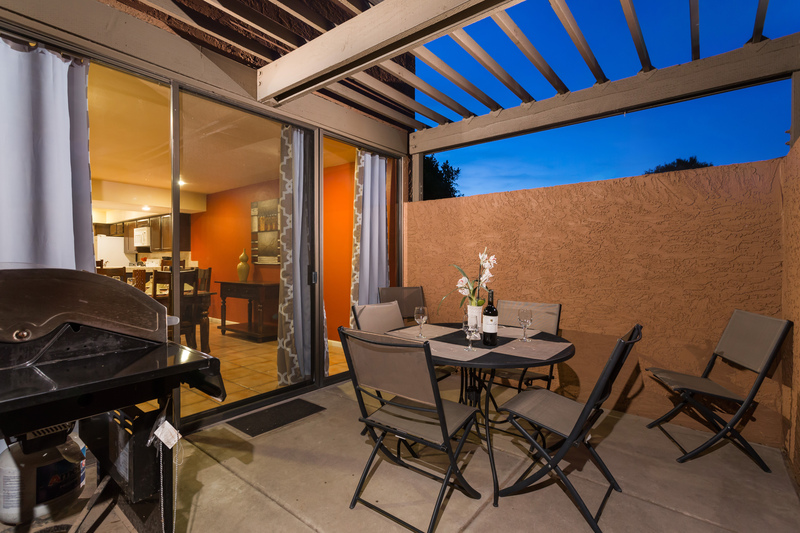 From romantic retreats to relaxing family holidays to fun group golf mini-vacations, this beautiful Scottsdale vacation rental in McCormick Ranch has it all! 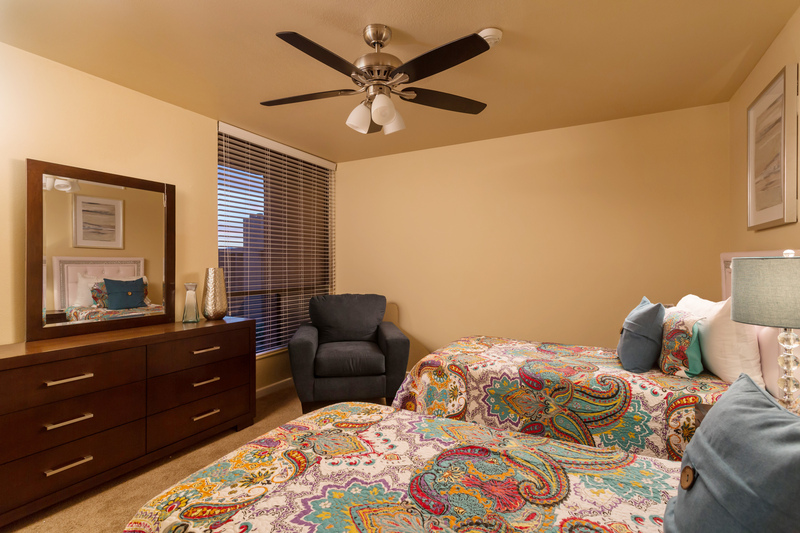 We just recently updated the unit with new beds, bedding, dresser and nightstands along with adding curtains to the windows. 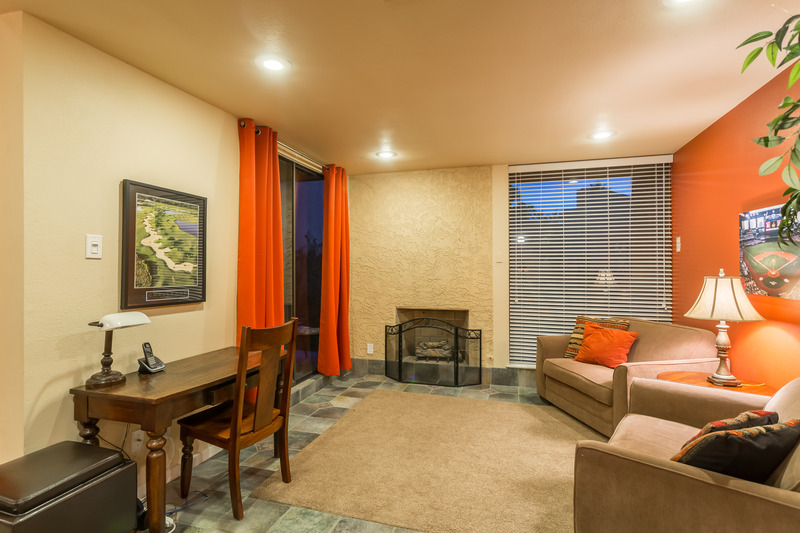 Your tastefully decorated Scottsdale "home away from home" is located just three miles from Old Town Scottsdale. 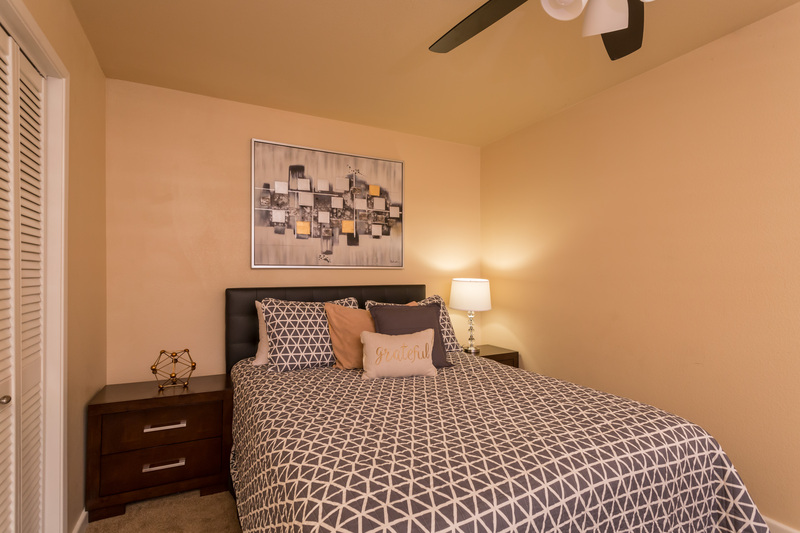 It is beside the McCormick Ranch Golf Club and close to multi-use pathways, which are perfect for biking, jogging, and walking. 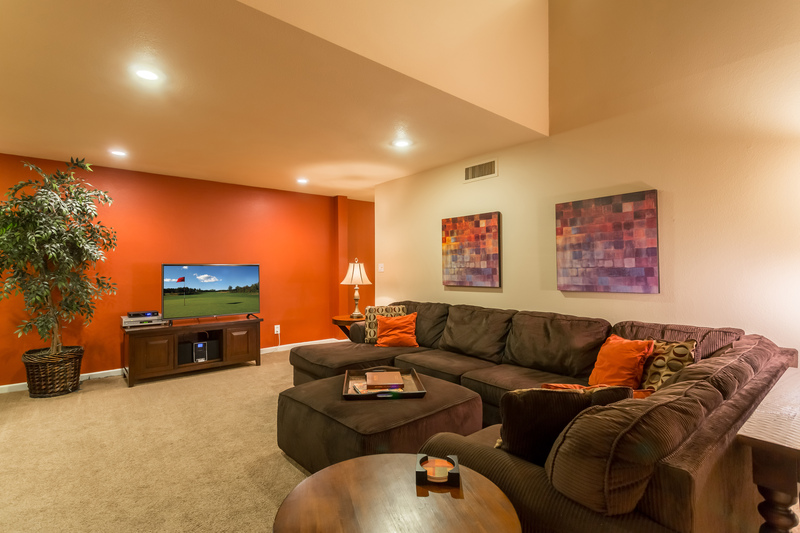 Take advantage of the close proximity to world-class golf, fine dining and shopping! 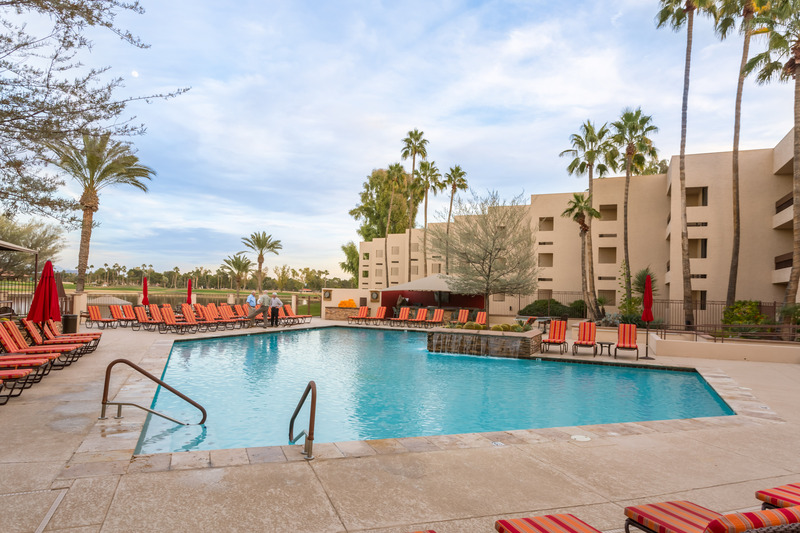 This well-coordinated privately owned and managed vacation rental is located in Scottsdale's only lakeside boutique resort villa community. 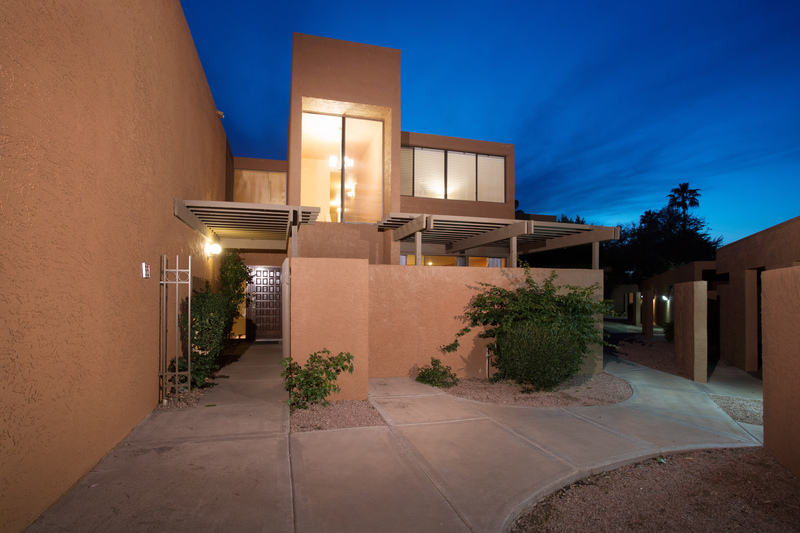 This spacious, inviting, two story 2300 square foot villa has a subdued but stylish interior providing the following amenities: - Dramatic two story entrance. 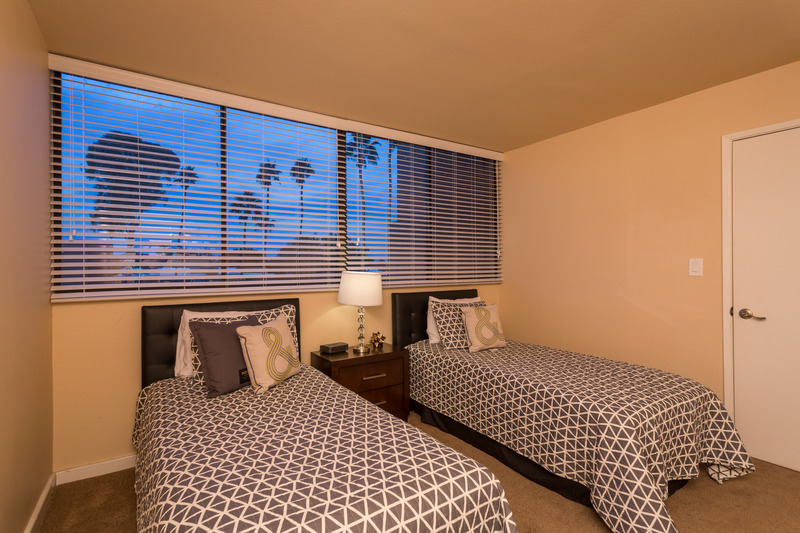 - Three (3) large bedrooms all furnished with new night tables and dresser. 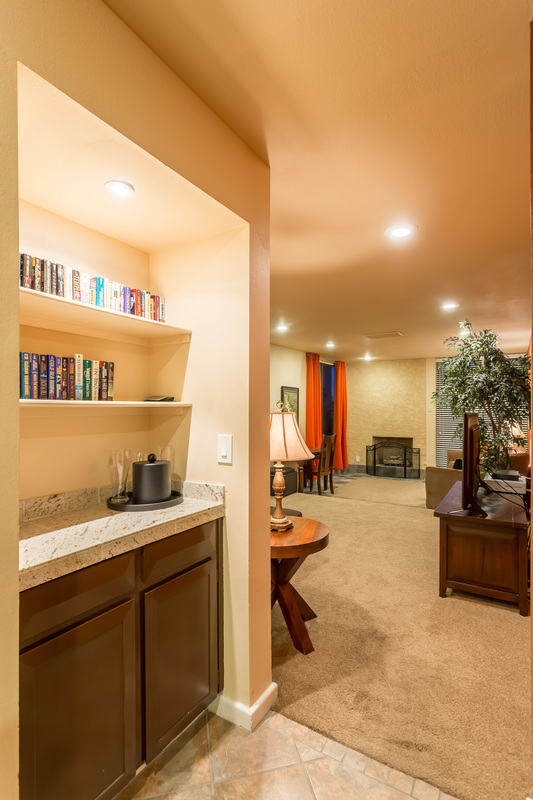 The condo also has spacious closets. 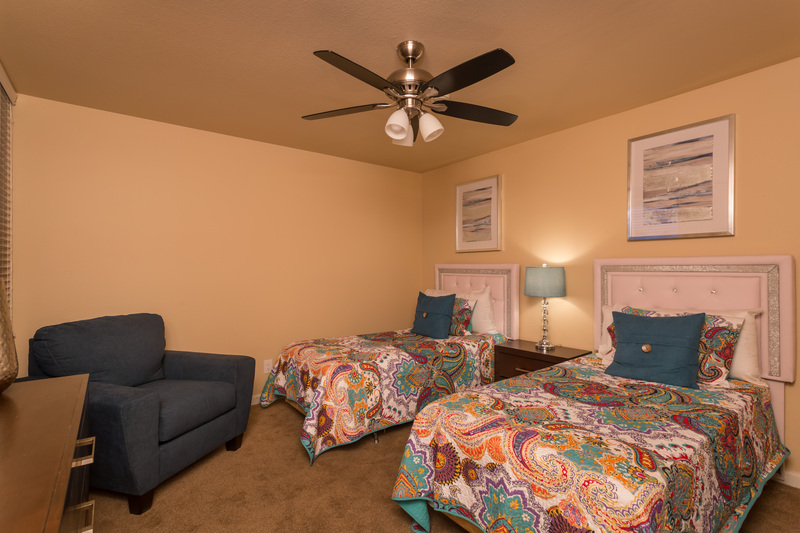 - Eight (8) comfortable beds: 1 king in master, 1 queen and 2 twins in the second bedroom and 2 twins in the third bedroom, all with new bedding for the beds. Two (2) single sleeper sofas in the living room/den. 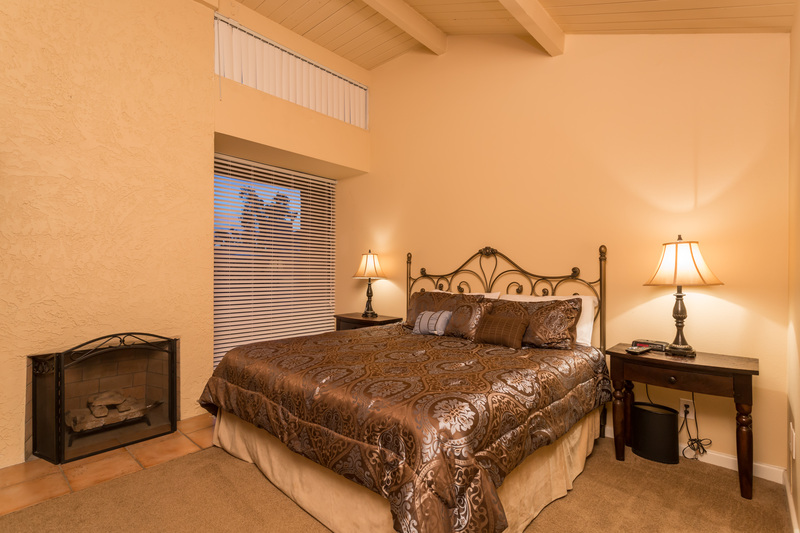 - Master Bedroom has private balcony, gas fireplace and 32" flat screen LCD TV . Two (2) night tables with two (2) reading lamps, along with a full size dresser, large closet, dressing room and ensuite bathroom. 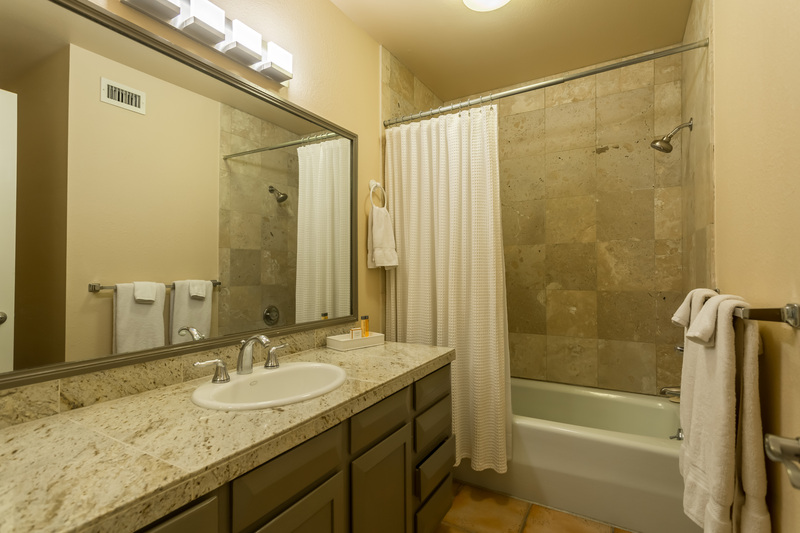 - Two (2) full well-appointed bathrooms with combined shower/tub and marble counter tops. Two (2) piece powder room on the main floor. 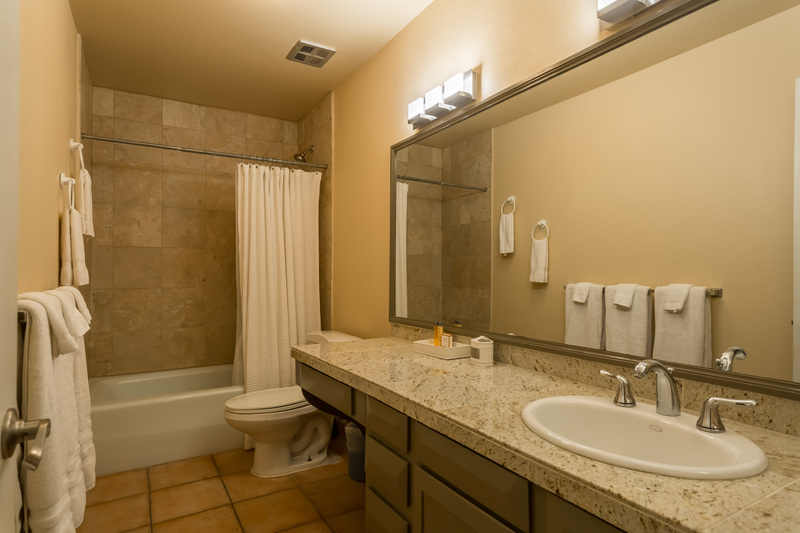 All new lighting fixtures has been installed in the bathrooms as well. 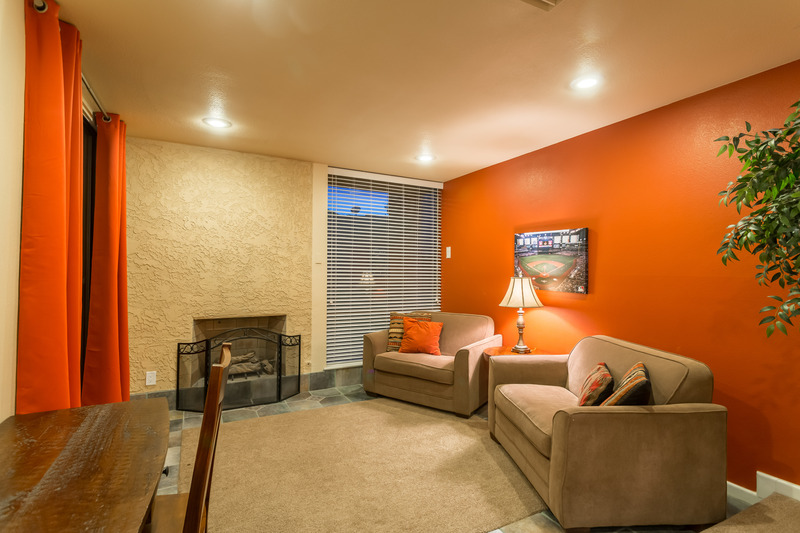 - Warm, inviting living room with 46" flat screen LCD TV with large comfortable sectional sofa, full size ottoman and two (2) end tables. Includes DVD/CD player, iPod docking station and stereo. 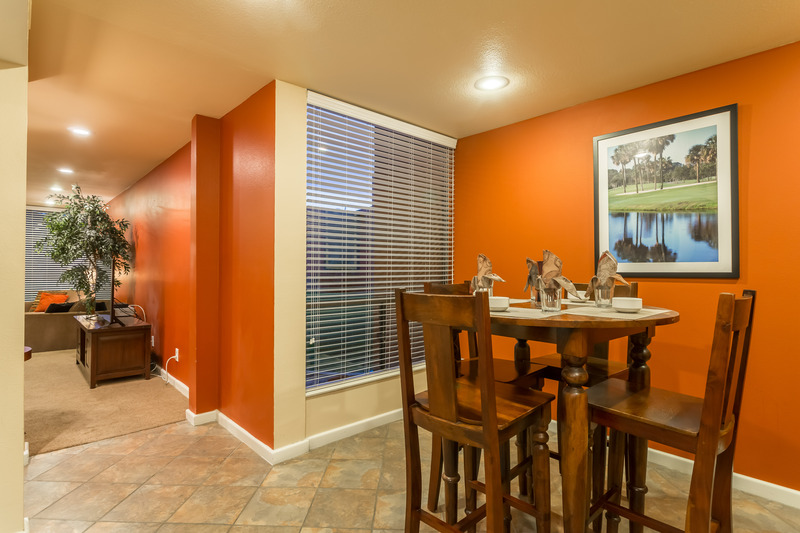 - Dining area with seating for eight (8) at elegant dark wood table with walkout to private patio. 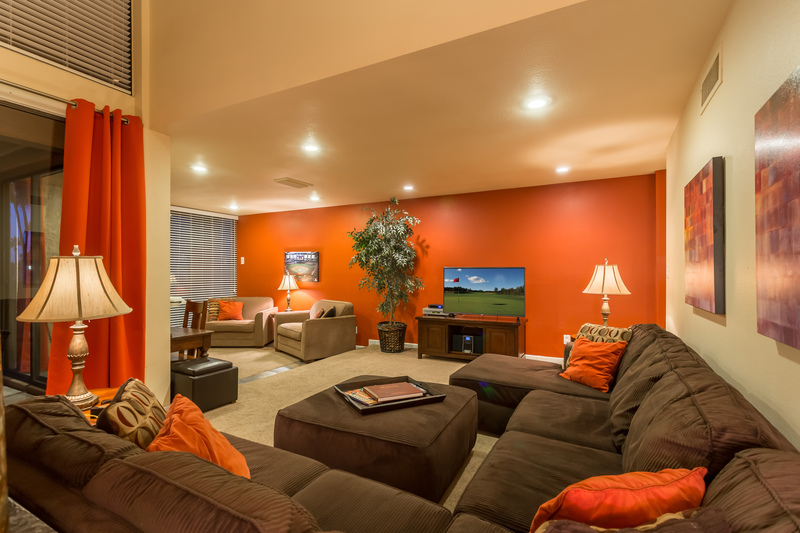 - Large windows with a wonderful view of the beautifully manicured grounds and golf course. - Sunken den with fireplace, comfortable seating and dark wood desk. 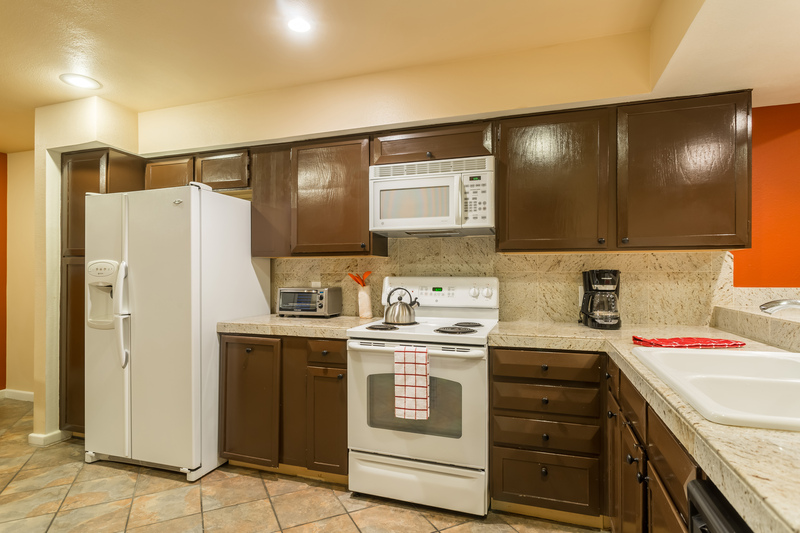 - Well-equipped kitchen featuring a separate eating area with a high top table and all amenities including dishwasher, microwave, garbage disposal, George Forman grill, toaster oven, coffee maker and much more. 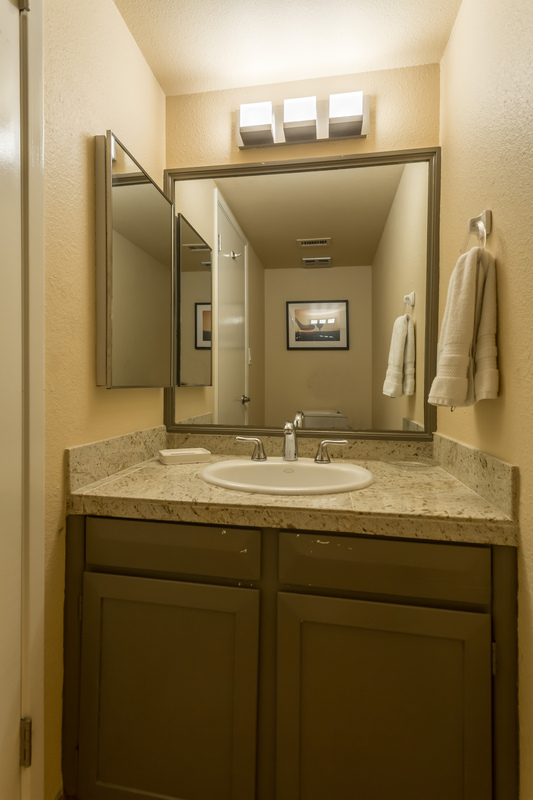 - Full size washer and dryer. 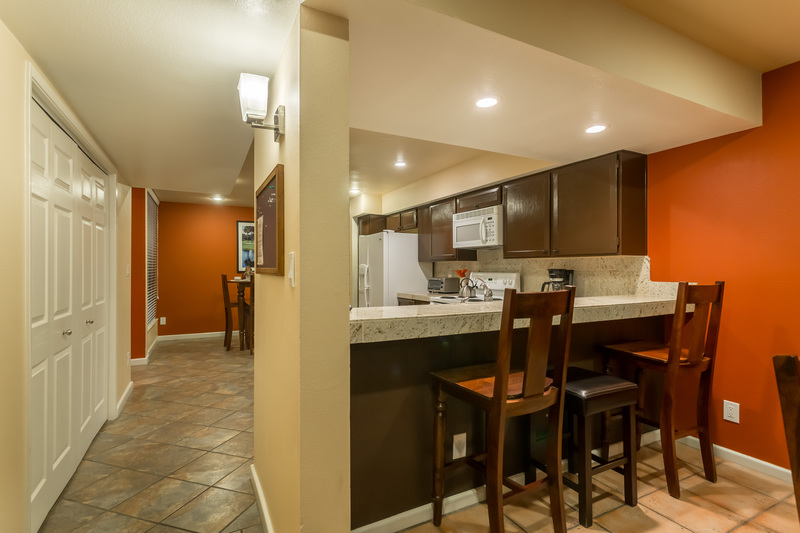 - Two (2) private patios. 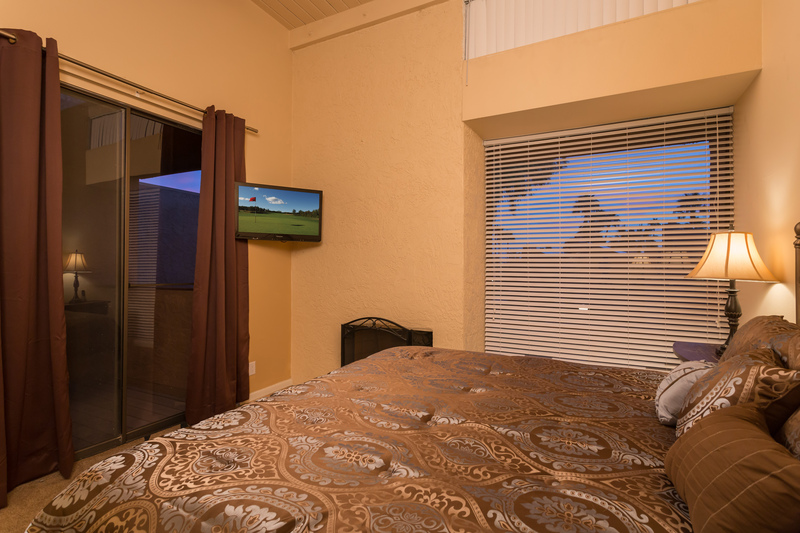 - Panoramic view of the golf course, mountains and lake. 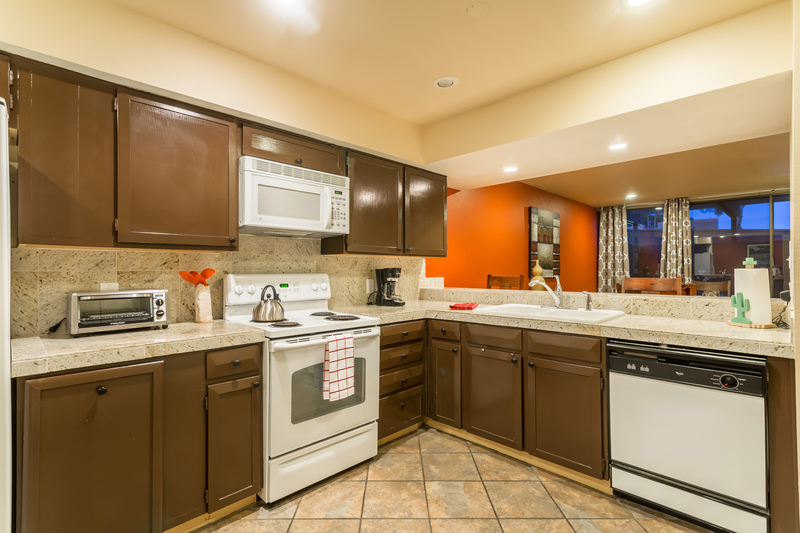 - Free wireless internet, cable TV and three (3) cordless telephones with answering machine. - Reserved covered parking for two (2) cars. 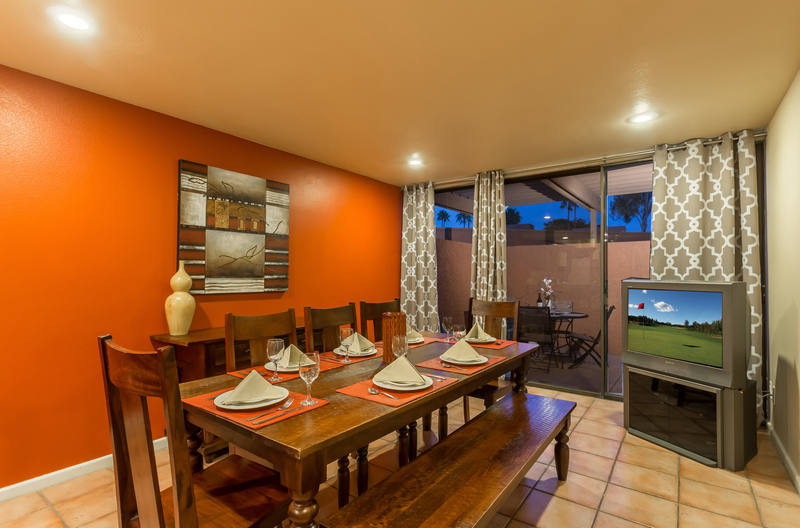 The onsite Piñon Grill offers fine dining within a short walking distance, while the Diamondbacks Bar & Grill provides a more casual atmosphere.